As summer approaches quickly, cool and refreshing foods are often craved to combat the heat. While ice cream and cold drinks are frequently consumed to cool down, they are neither satisfying nor nutritious enough to help sustain you throughout the day. For those who are seeking for variety, why don’t you use this summer to try out some of these different, yet interesting treats? A highly popular snack in South Korea, this sweet shaved ice concoction is served with a variety of toppings including chopped fruit, condensed milk, fruit syrup, rice cake pieces, and of course—red bean paste (the pat in Patbingsu). But the ingredients don’t stop there—you can find nuts, cereal, fruit cocktails, whipped cream, maraschino cherries, and even a scoop of ice cream (or frozen yogurt) in different flavors along with your bowl of shaved ice (bingsu). With this many toppings, you might as well bring a friend along with you to share the dessert. Just make sure to finish it before the bingsu melts! Also known as “mix-mix” in Tagalog, this popular Filipino dessert is known for its eye-popping bright colors and unusual ingredients. While it’s similar to Korea’s Patbingsu (in its shaved ice, fresh fruit, and a type of sweet bean), Halo-Halo includes evaporated milk, jello, purple yam ice cream (ubeng pula), boiled kidney beans, chickpeas (garbanzos), sugar palm fruit (kaong), coconut (macapuno), plantains caramelized in sugar, jackfruit, tapioca, flan, and cheese—to name some among many others. Halo-Halo is served in a tall glass or bowl in layers and it is then sprinkled with sugar and topped with crunchy rice and purple yam ice cream (or any other ice cream flavor). For those who are skeptical of the dessert, it’s definitely an acquired taste. But there’s no doubt that this colorful treat is gaining much popularity in the United States. Just keep mixing! Bubur Cha Cha (alternative name: Bo Bo Cha Cha) may sound like a fancy dance move but it’s actually a simple and colorful dessert hailing from Nyonya—a mixed heritage that draws on Malaysian, Chinese, and other influences throughout Southeast-Asia. Typically served on the 15th day of Chinese New Year, this milky porridge-like dessert (hence the Malay word bubur) uses a coconut milk base and includes square-shaped steamed yam, sweet potatoes (in orange, yellow and purple colors), yam (taro), chewy tapioca flour chunks, sago, and black-eyed peas. This festive dessert can be served either hot or cold but it is said to taste best cold. Be prepared for a lot of chewing! Coming from a country with a staple for noodles, zaru soba is among the various buckwheat flour-based noodle dishes that are perfect for a hot summer day. This refreshing dish is super simple to make and requires very few ingredients. These thin noodles are served drained and chilled atop a sieve-like bamboo tray (zaru), and garnished with strips of dried nori (seaweed). A small bowl of cold dipping sauce (soba tsuyu)—made with dashi (fish stock), sweetened soy sauce, and mirin (rice wine)—is usually served alongside the noodles, often mixed with wasabi and chopped scallion by the diner. Eating it is just as simple—all you need to do is dip the soba into the tsuyu mixed with the toppings you choose, including sliced cucumber strips, oroshi (grated daikon radish), and shrimp tempura. The dish doesn’t look like much but it’s guaranteed to cool you down and refresh you in no time—one slurp at a time. 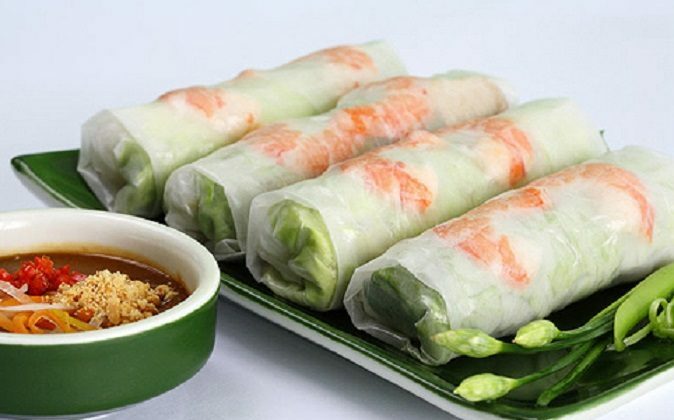 Otherwise known as the spring roll, salad roll, or summer roll, the Gỏi cuốn is a traditional Vietnamese dish that is both healthy, guilt-free, and incredibly fun to make. You could say that this is the perfect finger food because you can eat it directly after you finish the assembly—no utensil required. The dish uses a variety of ingredients such as marinated pork, halved prawn, freshly chopped vegetables, and rice vermicelli. But you can get creative and add avocado, pineapple, mint, and Chinese parsley to your plate—basically anything you like. The ingredients are then placed on top of the moistened Bánh tráng (edible rice paper) and rolled up before consumed. You can also add in some fresh chili and use hoisin sauce, peanut sauce, or Nước mắm pha (mixed fish sauce) as your dipping sauce to add additional flavor to your nicely wrapped summer rolls. The best thing about this dish is that it’s not cooked (you just simply dip your rice paper in a bowl of water, preferably hot) and you have the freedom to add as many ingredients as you like so it’s perfect for those seeking a filling balanced meal. Anmitsu is a traditional Japanese dessert that somewhat resembles a fruit parfait. It consists of sweet azuki bean paste (or anko—the an of anmitsu), boiled peas, gyūhi (sweet glutinous rice cake), and fruit such as peach slices, tangerines, pineapple pieces, and cherries. A special component of this dessert is the translucent cubes of agar jelly, which is made by dissolving agar (a gelatinous substance made from red algae and seaweed) in water or fruit juice to give it flavor. Upon serving the Anmitsu, a small pot of sweet black syrup (mitsu of anmitsu) is poured directly onto the jelly before consumption. 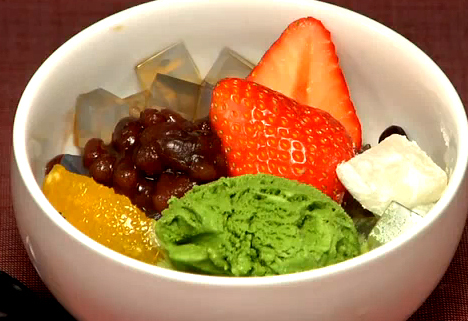 Other variations of this dessert include a scoop of ice cream on top of the anmitsu or without the bean paste. The anmitsu is served cold and contains fresh fruit, this light dessert is perfect for revitalizing during a hot day. Simple is best, after all! Popular in Indonesia, Malaysia, Singapore, Brunei, Vietnam, Thailand, and Burma, cendol is a traditional dessert beverage that resembles bright green worms upon first glance. According to popular belief, the term cendol relates to Javanese, Sudanese, and Indonesian term jendol, which stands for “bump” or “bulge”, in reference to the sensation when swallowing this bright colored dessert. 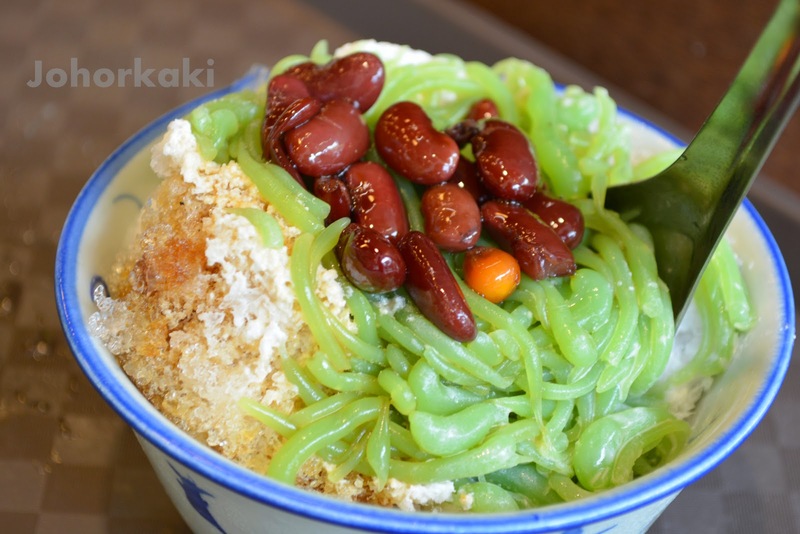 The ingredients include coconut milk, jelly noodles (made from rice flour and green food coloring from the Pandan leaf), shaved ice, and palm sugar. Other variations of this recipe include red beans, glutinous rice, grass jelly, creamed corn, and durian (a sweet fruit with a foul odor) . Cendol is commonly sold by vendors at roadsides, food courts, and hawker centers all across Southeast Asia. While the sensation of the noodles might feel strange to some, it’s definitely something to try out while strolling down the sweltering streets! Surprise your summer guests with a German favourite—a fruit Bowle (pronounced Bo-la) made with German wine. Because summer is the hottest season, to balance the heat, you need a diet that is cooling.